Claude Giroux on the bench after collision Saturday night. I saw Claude Giroux get his concussion. It happened so quickly, and as so many of these happen, so unavoidably accidental. Giroux was down to try to clear the puck into the zone as Wayne Simmonds came up and tried to leap frog past the surprise obstacle on the ice. As he went over, his knee hit Giroux’s head. Giroux left the ice for the bench, then disappeared down the tunnel for the rest of game. The following days saw descriptions of Giroux’s injury as now feeling OK, until word recently came that he was out indefinitely and being watched for a concussion. Concussions have become a major problem in sports as these injuries can have long and debilitating effects, and seem to happening with more frequency. Are they happening more or did we just ignore them more back in the age of the warrior who plays through an injury? But this column is not about sports per se. 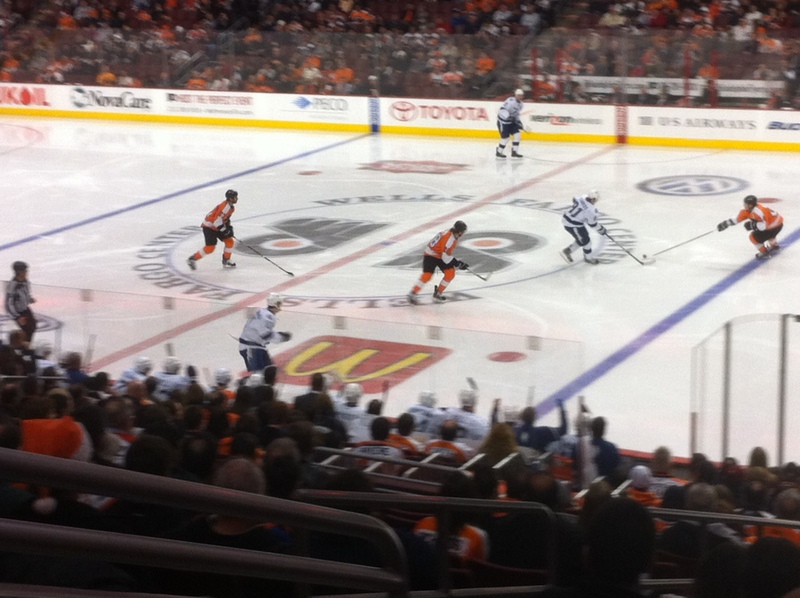 I bring up the Philadelphia Flyers game because it was something that I had not done in a while. 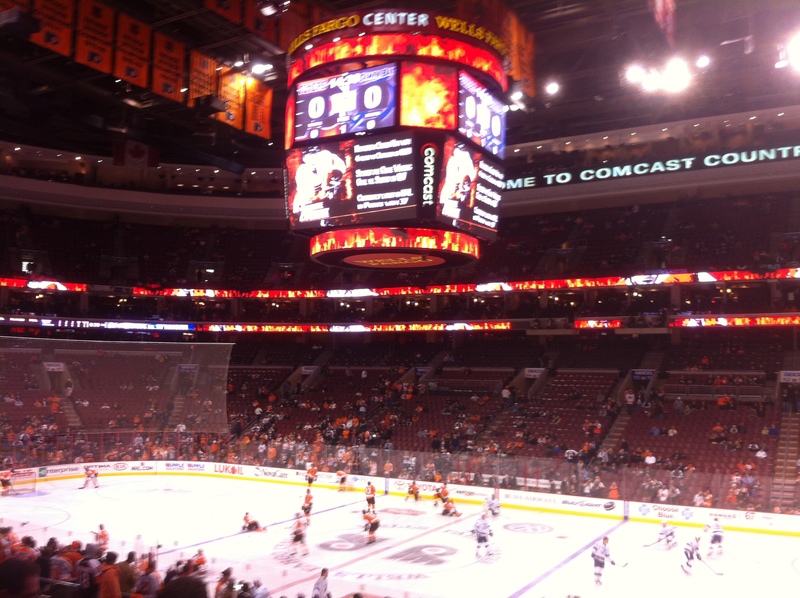 I went to a Flyers game. I’ve wanted to for a long time but since I’ve developed my Interstitial Lung Disease and the subsequent need to carry an oxygen tank, I’ve avoided a lot of public arenas and activities. Call it vanity, call it fear, call it anxiety, call it stupidity. I just didn’t want to deal with the idea that all eyes would be on me because of that “companion”. Forget that others also head out using aides and items to help them enjoy life. I just saw myself as not myself anymore. Going to this game was the result of an old Villanova friend of mine, Mark, inviting me to come along. I said yes and then started to reverse engineer the reasons I should go versus the reasons I shouldn’t. So, for only the third time in the two years that I have had this disease, I went out with tens of thousands of other people. First was an Elton John concert, then a Phillies game (which I blogged about here), and now, the 2011-12 edition of the Broad Street Bullies, the Philadelphia. My first game was in 1967, BTW. This game was also the start of a weekend spent trying to get over the nervousness of my upcoming pulmonary function testing and six minute walk, plus a visit with my lung specialist at the Penn Lung Center, Dr. Maryl Kreider. The nervousness was because this would tell me how well I am doing in keeping this progressive disease at as much of an arm’s length as I could. As mentioned previously, this cannot get better, it can only be slowed down and governed as to the future progression. The goal is not recovery, but stability. Had all that I’ve been doing made this damn thing calm down any? So, I went to the Flyers game, in part to forget the appointments and tests in two days, and in part to start to slay the fear dragons that seem to govern my activities. I needed to move mentally past the thought that the oxygen tank was as obvious as forgetting my pants (again). So, I went and I glanced at those who glanced at me. I had a couple of kids stare and avoided staring back, though I wanted to. A few looked briefly but no one pointed and gawked. Basically, I carried something I needed and while it drew attention, I could still blend in and be myself. It became so natural that at the end of the first period, I took a walk around the arena on my own, nodding to people who looked, talking with a couple, and enjoying the atmosphere. Much like hockey concussions, the answer here was to simply deal with the problem, not delay or deny it. By just going out and living for a few hours with a few thousand like minded fools, I got to laugh and yell and cheer and watch and criticize and celebrate a great team and a great atmosphere. Pride and vanity get coal in their stockings this year. 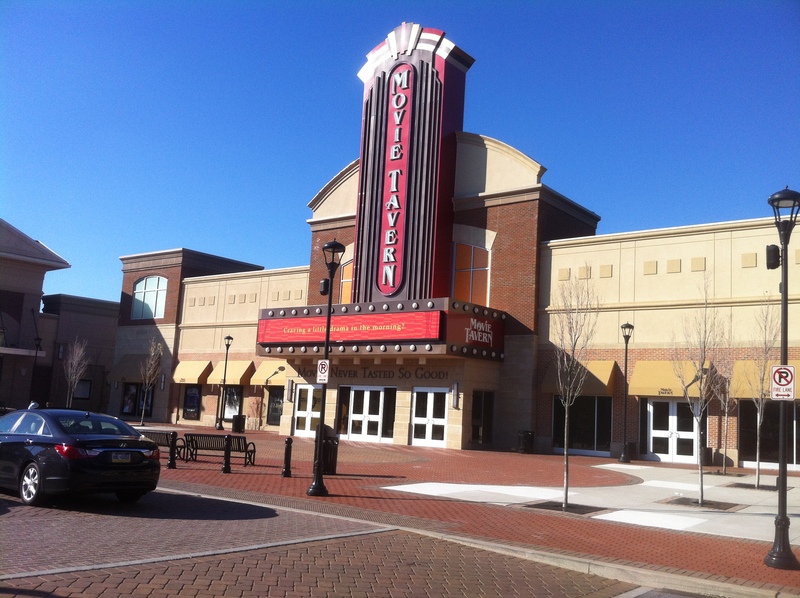 On Sunday, my niece took me to the MOVIE TAVERN in Collegeville PA as a birthday treat. The trick of this theater is that they serve you pub style food at your seat during the show. As a novelty, it is a cool idea and the food was fine, not great, but good. 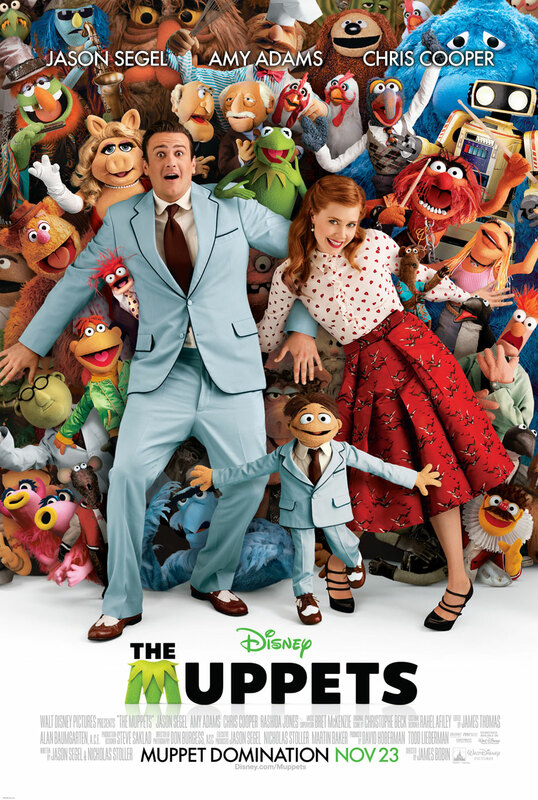 We saw THE MUPPETS, which I liked a lot but was essentially an extended version of THE MUPPET SHOW. No real moral here, just enjoyment and escape from the thought of Monday. Well, one small moral. While there is fear that serving food in a movie theater is an odd thing, just like walking with an oxygen tank, if you don’t try it, you never know. I did my pulmonary function tests. There are basically a series of tests that measure lung capacity, gas exchange, and other breathing related items. Much of this is done inside a small claustrophobic capsule where you breathe into an apparatus that both measures and offers resistance levels to gauge your abilities. This lasts between 20 minutes and a half hour. Mine took a little longer because I tend to pause between inhaling and exhaling, and the fancy computers need to be more precise, so I got to repeat a couple of tests. Then came the six minute walk, which is pretty much exactly what it says. You walk at your own pace for six minutes with monitored, giving effort and breathing levels every minute. Thanks to the techniques and the activities at my pulmonary rehab class, I did the best I ever have with this test. Finally, I met with Dr. Kreider. She was happy because the tests showed that I was either steady or very slightly improved from last visit, which is as good as it gets. However, to use her word, it left us with a quandary. I have been on Prednisone, a steroid, for 18 months, and that is not so good. The steroids are great in the beginning but potentially harmful with extended use. The goal now becomes weaning me off of the steroids in the next 3 months. The downside is I will cough a bit more, the upside is that I won’t have to worry about steroid side effects any longer. All my other meds, including the Cell Cept remain the same. What is different now is that, with a good report here and the slaying of the dragons over the weekend, I’ve moved a step back towards not letting the mental picture I carry of myself rule how I actually carry myself. The oxygen tank will be here for as long as I still live and it will be me, period. The sooner I accept that, the sooner I start to accept myself again. One of the cool things on Twitter (and Facebook) are the sports connections that I’ve found. During the Stanley Cup Playoffs last spring, it was a ball reading the tweets and tweeting myself during the games , and even getting some trash talking in with the Chicago media. As the MLB playoffs approach, I get to do it all over again. I’ve got my group that I read, my group that I interact with, and my group that I cannot believe that they are so full of themselves. Note to Tweeters/Bloggers: You cannot fake it with “sources” and other “exclusive” items. Most readers can spot the real writers who bring the stories and don’t try to one up each other. 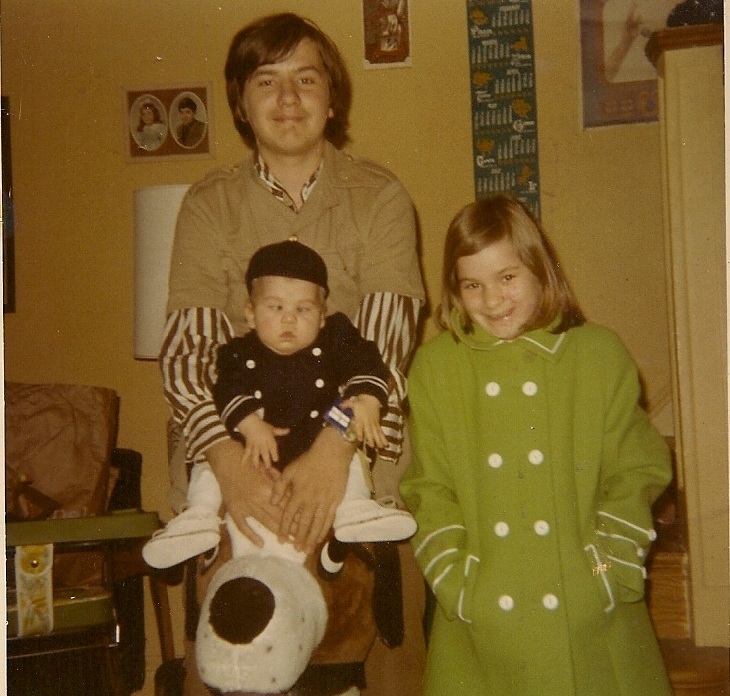 However, the one thing that becomes obvious is that, at 54, I go farther back than most of these young pups. That means that I have memories that may have become hazy in particulars, but vivid in how they impacted me. This allows me a certain satisfaction in both knowing that I can share them anew with many people, and also that I can think “oh, yeah, I’ve seen better” from a deeper well when bragging rights come up. 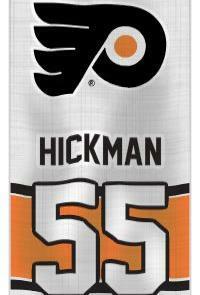 I was a Flyers fan from Day One, which was tough because Hockey coverage was sparse in the city. 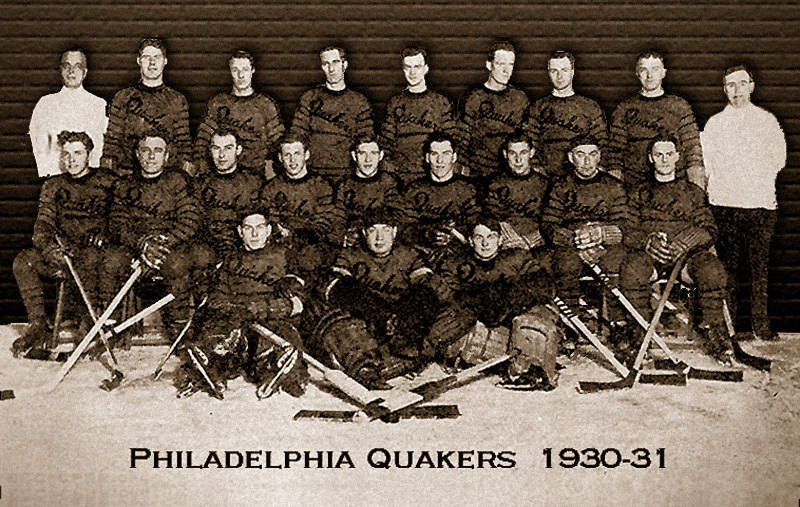 Before the Flyers, the last team Philly saw was the PHILADELPHIA QUAKERS, and that was a long time ago (1930) and lasted only one year. 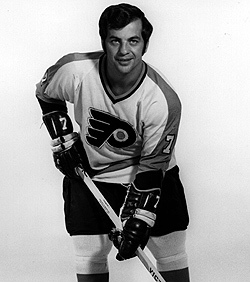 In 1972, due to financial problems, the WHL moved the MIAMI SCREAMING EAGLES to Philadelphia, along with a net minder named Bernie Parent, who had left the Flyers only to return to much greater glory. This also lasted one year. 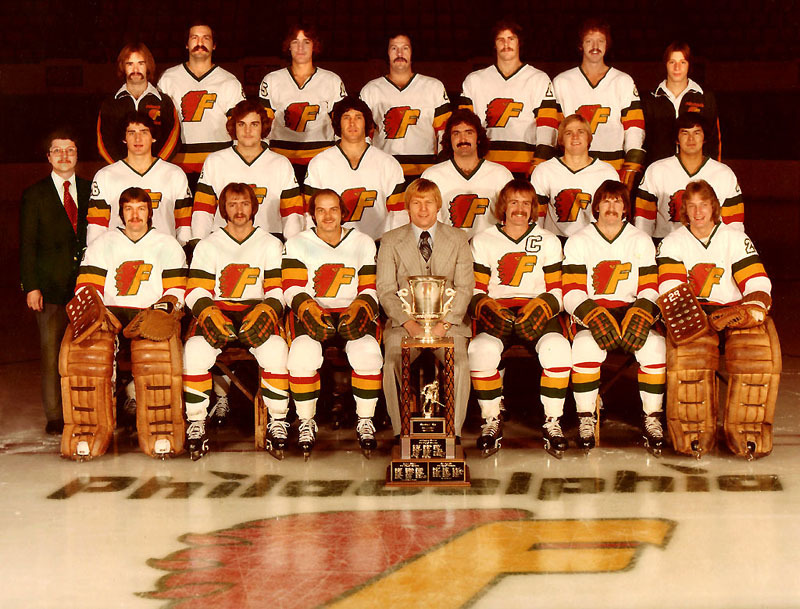 From 1974-79, We also had the NAHL Philadelphia Firebirds in town. When the Flyers started, TV coverage was scarce. Many times, WCAU RADIO only covered the 3rd period. Cable was a baby, so you read about it and listened to the radio. Also starting at that time was THE FLYERS FAN CLUB. They used to meet at KOSTICKS at the top of the hill in Upper Darby. This was back during the time when official fan clubs were actually run by fans, not as an extension of the team marketing department. I and another crazy hockey fan, Mike Lang, used to go all the time, and got to as many games as we could. The first game I can remember vividly was the final game of the 1968-69 playoffs against the St, Louis Blues. We were swept. I was wearing this god-awful hat that I had fashioned, and that got so sweat soaked that it fell apart. It was also the first time that I had witnessed that magic tradition, the handshake line at the end of a playoff series. Still one of the most magnificent traditions in all of sports. My favorite player was ANDRE LACROIX, partially because he was great but also because his name was close to mine. I was also a fan of THE MINNESOTA NORTH STARS, partially because their green and gold colors were the same as my high school, ST, TOMMY MORE. As the seasons progressed, the Flyers kept trying, and then in the early 70’s became the BROAD STREET BULLIES and that excited this city to no end. I won’t go in to their history, as well at the Stanley Cup years, because that has been told much better all over the place, and recently on HBO. However, a few personal remembrances: I could not get a ticket for the final game in 1973-74, Game 6, so I sat on the Pattison Avenue steps with hundreds of others and listened to Gene Hart on the radio. We thrilled when we heard Kate Smith, and rejoiced as the celebration spilled out. We drove up Broad Street which took almost 2 hours to Oregon Ave, and yes, streakers galore. The parade went nuts, as you know, and culminated near Independence Mall. 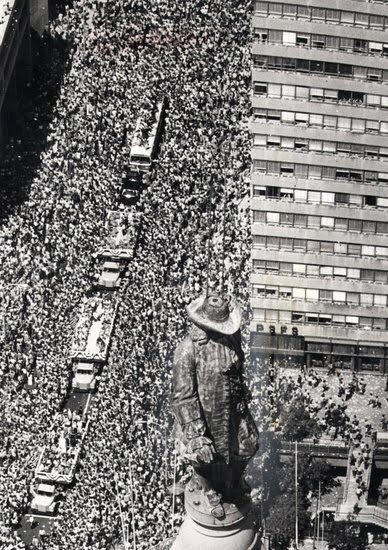 The following year, the Flyers won again, and this time, to accommodate the crowds, the parade was reversed and sent to JFK stadium. A friend of ours who worked at WMMR knew that we had a band called the JIM RASCAL BAND. He asked if we would play a 15 minute set along with other local groups to keep the crowd in the stadium occupied. We didn’t realize what the crowd would be, almost 100,000 people at a historic stadium. We played 4 songs, all uptempo. We started the fourth song with a well received F-L-Y-E-R-S chant over the base line for STEVIE WINWOOD/ CHICAGOS “I’m a Man”. At this point, the KYW TV film crew started to circle the crowd for reaction shots, and out music made the evening news. We were followed by PIECES OF A DREAM, a great Philly jazz group. As the parade approached, we were told to leave the field for the stands. Right. We straggled long enough that we got “stuck” on the field when they came in. We got up close with the entire team, and yes, snuck a touch of the Stanley Cup. I am still amazed that in my normal life, I played music to rally almost 100,000 Flyers fans. 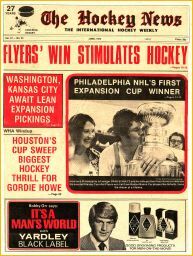 In 1976, PRISM cable came along and started carrying the Flyers games exclusively on pay cable. The problem was that only South Philly was wired for cable, and the rest of the city would not be until the mid 80’s. That created even more demand for tickets, the hottest ticket in town, because it was the only way to see most of the home game. Well, memories tend to run on, don’t they. I post some more for you young whippersnappers later. Remember, these are from my memories, and the dates and names may have faded, but the impact never will. …more to come when I get my addled brain to remember.